Does your doctor prescribe pills or veggies? I have read SO many blog comments from people who are really looking to become healthy via diet – but have traditional doctors that want to prescribe medications. And when asked about dietary options, many doctors will quickly change the subject, as if food really doesn’t seem to matter. Maybe it’s because most doctors take very few (if any) nutrition classes in medical school and simply don’t understand how powerful our food choices are to our health. Or maybe they just don’t think we can make the change on our own – so they give us the pills to make sure. If you happen to have one of these doctors, all I can say is good luck. But ….. there ARE doctors out there who WILL treat patients with a healthy diet. I know because I used to have one. Not only is he a Plant-Based Doctor, he is Dr. Craig McDougall, the son of Dr. John McDougall. And he teaches the exact same principles as his father. Up until just recently, Craig was my primary care physician at Kaiser Permanente. Today he is the lead physician at Oregon’s ZOOM+ Prime Clinic in Portland, a new primary care model that emphasizes food and movement as a means of preventing or reversing chronic disease. 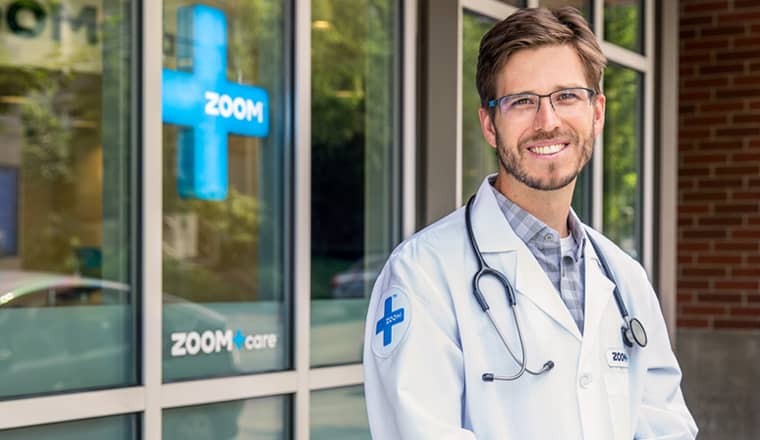 The Zoom+Prime clinic offers a 90-day program featuring personalized health coaching to help patients get off their medications for conditions such as diabetes and high cholesterol. Craig sits down with patients, goes over meal plans, sets them up with recipes and even takes them grocery shopping at the neighboring New Seasons Market. I guess the apple didn’t fall far from the tree…. I still remember that very first meeting with Dr. Craig and here are some of the key takeaways he emphasized during our visit. Eliminating all oils and fats is the first step to beginning a healthy diet. The majority of today’s health problems can be traced back to a single cause.….. the food we eat. Specifically, the oils and fats. We should be eating starches, lots and lots of of starches. Comfort foods like rice, potatoes, corn, sweet potatoes, whatever – just make sure they comprise about 50% of your plate. Fake meats and cheeses are NO better than real meats and cheeses. They’re full of fat and oils, just like the real stuff. And of course all that fat and oil is going to attach itself effortlessly to your hips, waist, rear, and thighs. It’s also going to clog your arteries and raise your blood pressure. Avoid the junk and processed stuff. Eat whole, natural, foods. If you think about this, he’s right. The Paleo Diet IS very similar to a McDougall Diet in that we both cut out all the junk, processed food and eat very simply. We both eat vegetables, nuts, seeds, and fruits. If you’re serious about getting healthy, you have to be willing to make big changes in your lifestyle. We didn’t get to this point in our lives by making little changes, and so therefore little changes won’t fix what’s wrong with us either. It’s going to take a big change. I think that’s why most doctors are so insistent on prescribing all the pills they give us, they don’t think we can make the necessary changes on our own. The point is, just giving up red meat is not going to do much. It’s certainly a start in the right direction, but you have to keep going. Same thing with Meatless Mondays – it’s a good start – but not enough. We need BIG changes to drop the cholesterol or blood pressure or to lose that 30-40 pounds. Eating doesn’t have to be a chore. I find myself making my meals more and more simple, usually in one single bowl. Simple two or three ingredient meals centered around starch. Some people call this eating ‘clean’. Sure all those fancy recipes with strange, new, vegan ingredients sound really good – but are you willing to take the time to prep and cook them? Where on the other hand a bag of rice or potatoes with a few bags of frozen veggies can be bought pretty cheap and even at your local Wal-Mart. Keep it simple, starches will fill you up and keep you full. And together these simple meals will give you all the nutrition you need. Good posting. I have to agree on the simple part and how it can be very economical. We eat a lot of beans, rice, barley and lentils that we buy dry and in bulk. Some fresh veggies (heck a large bag of spinach from Costco is only about $4 and lasts quite a while), potatoes and tomatoes and we are all set. Our food bill is so much lower than when we were eating beef or chicken every night. Our niece recently posted on FB how much more expensive it was to eat healthy. She was moving from a diet of fast food to a diet of cooking her own meat filled meals. I’m not sure she understood that, while her change was one in the right direction, it might not be far enough. Thanks Tom. My wife is eating all the rice in the house, and I just bought a big bag of white potatoes for my work lunches this week. I’ll probably make a thick veggie stew to put on top. We had been buying the fake meats and cheeses and I’ll admit it was expensive – and now I find out not that healthy either. Simpler is better. 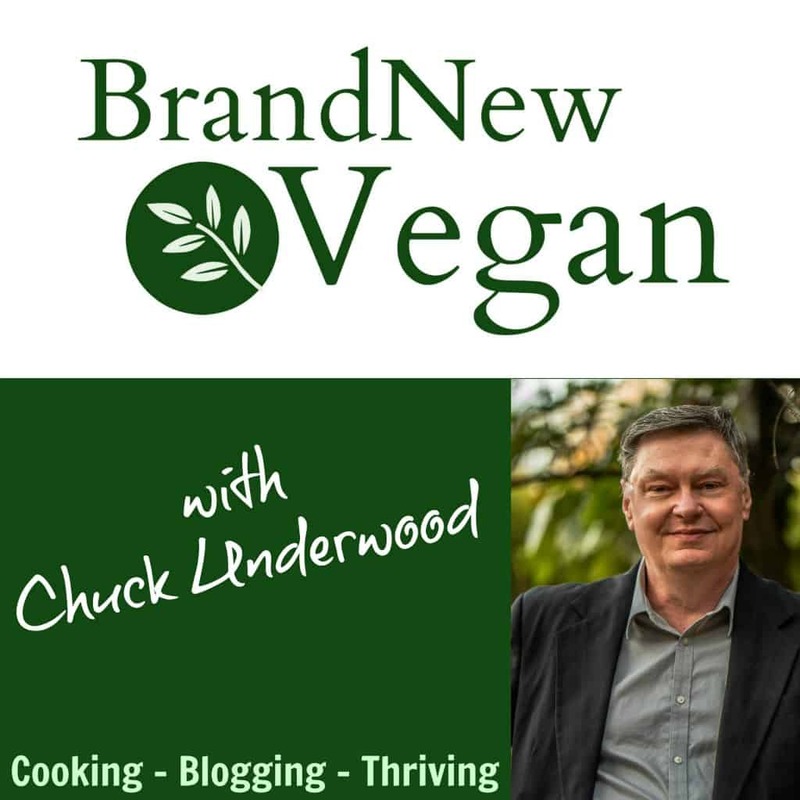 Chuck, I just want to say thanks for your website, your recipes, your info, and your wisdom. I’m not really a “new” vegan, but I pretty much stopped eating vegan because I got so bogged down with the special ingredients that I’d have to drive around town for, and can’t stand tofu, hahaha. So, realizing that I needed to get back on board with healthy eating, your recipes have been a breath of fresh air. You’re like the “everyman” of healthy eating to me, and I look forward to trying each of your recipes as I see them on Facebook. You, along with Dr. McDougall’s website/discussion board, have got me back on track, with simple, whole, starch-based eating. THANK YOU and keep it up! Im starting to realize that simple is best. I buy lots of ingredients to make new things then end up not liking them. I prefer a bowl of rice and beans with some corn and salsa mixed in or a plate of potatoes with plain vegetables on the side. thanks for posting and your blog and simple recipes.